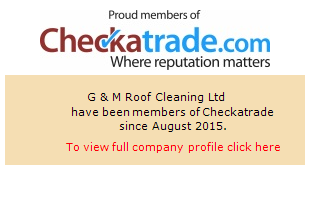 G&M Roof Cleaning Ltd is your source for top quality custom property surfaces treatments. We are dedicated to exceeding customer expectations by providing a unique and personal service to all our customers. We provide the highest level of customer service. We provide a high quality service to ensure your satisfaction. We are a fully insured company. We clean your roof properly. 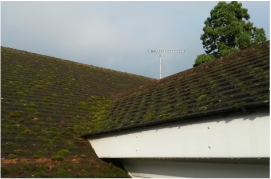 The moss, algae and lichen are removed manually and the tiles are then treated with a fungicide biocide to prevent early regrowth. Proper cleaning will remove algae, black streaks, moss, mold and lichen that can all damage your roof if left unchecked. In the past 30 years self finished renders became popular among architects. 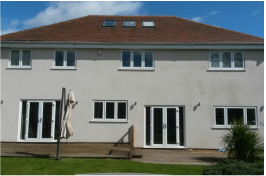 In climates UK is highly likely that your render will be attacked with green and red algae, Bacteria and Cyanobacteria and moulds. 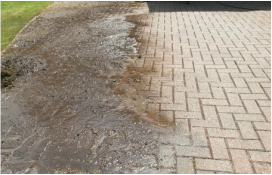 To maintain render clean and quality is important to controlling biofilm.